Divorce is a stressful and expensive process that many married couples experience. The average couple is eager to put their divorce behind them so that they may resume their lives as soon as possible. Unfortunately, an eagerness to come to an agreement places individuals at risk. Rushing to complete an uncontested divorce in a few short months can severely affect your future. 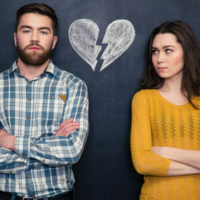 There are potentially costly divorce mistakes that could require an individual to spend years of work in order to overcome the damage that is caused. The Internal Revenue Service (I.R.S.) is one department of the federal government that few adults look forward to dealing with. Following a divorce many people who have made crucial errors during their settlement process end up facing substantial exposure to the I.R.S. The assets that are received as part of a divorce settlement could lead to an individual paying more taxes in their first year filing as a divorced individual. Both partners should consider possible tax implications when coming to an agreement since each person should want to avoid paying more taxes than absolutely necessary. Consulting a financial planner or accountant is one way to prepare for possible tax filing issues. During an uncontested divorce both parties are in agreement on all major issues and interested in finalizing their divorce within a few months. Couples who plan on remaining friends, are working together to help mutual adult children, or otherwise harboring no ill feelings may not think written agreements are necessary. It is not unusual for couples in an uncontested divorce to make verbal agreements regarding property, debts, and other important matters. These verbal agreements are not enforceable and, should circumstances change in the future, both adults could find themselves in an uncomfortable situation. Writing even a basic agreement to file with divorce documentations provides both parties some level of protection. After years of married life, some people are unprepared for living as a single individual. The cost of managing a household without assistance might be overwhelming for someone who has relied on two incomes for years. Paying for medical insurance, auto insurance, and other monthly expenses as a single person may cost more than previously anticipated. Alimony and child support payments also present problems to adults who suddenly find themselves paying for two households. Prior to agreeing to a divorce settlement, it is important to consider how the financial agreement you sign now will affect you years in the future. Even if you anticipate having a simple uncontested divorce, it is important to consult a qualified attorney. A divorce attorney with years of experience can prepare you for future situations that you may not have previously considered. The aggressive attorneys at the Mander Law Group are available to help you protect your long term interests. We are able to guide you through the divorce process to help you avoid making potentially expensive mistakes. Contact our conveniently located Dade City office today to schedule a consultation.